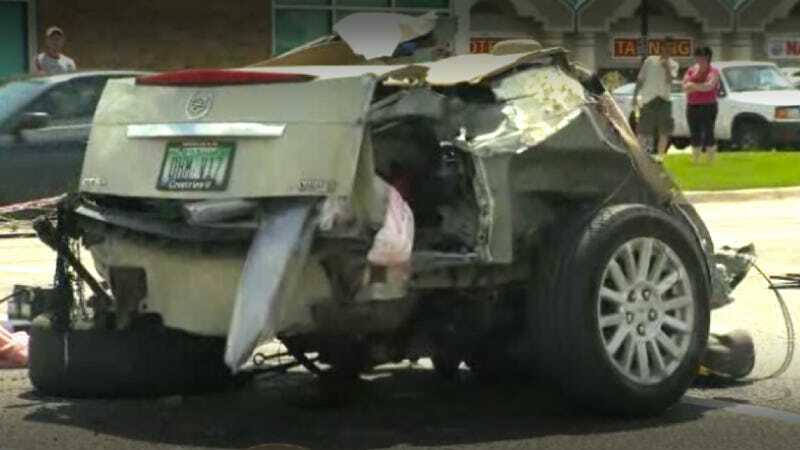 A five-car pileup in Detroit Sunday cut a Cadillac CTS in two. Miraculously, no humans were seriously hurt; just the car. Its back seat and trunk were torn from the rest of the vehicle when it was hit by two cars traveling in opposite directions.